A SIMPLE QUESTION, but undoubtedly not a simple answer. The leaders of the five main parties took to The Frontline to state their cases – but who did you think came out on top? Email “Poll: Who won the five-way RTÉ leaders’ debate?”. 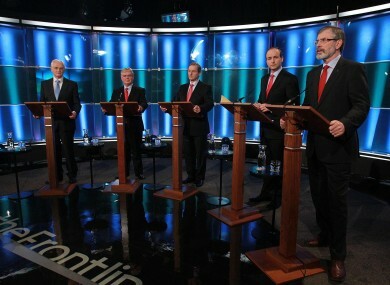 Feedback on “Poll: Who won the five-way RTÉ leaders’ debate?”.